I have made these cookies before. http://cakestobake.com/articles/kml9876/FrostedSugarCookies.html I decided to decorate them differently for the holiday! Separate the frosting into three bowls. Color one red, one black, and leave the third one white. When the cookies have cooled completely, frost. 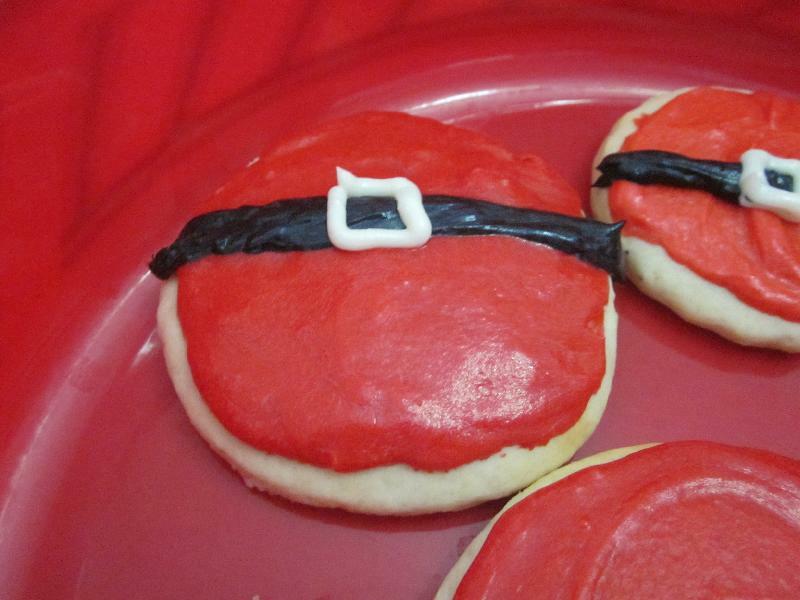 I used a piping bag for the black to make Santa's belt. Description: a sweet Santa treat!